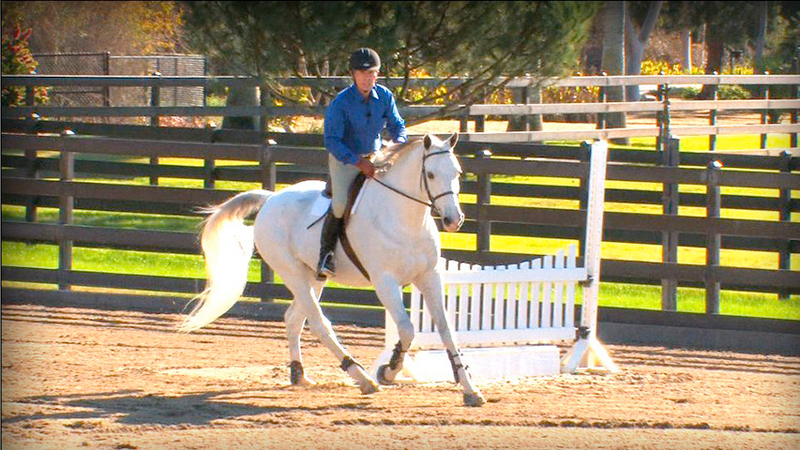 You worked with my horse, Parker, and myself at your N.J. Clinic in December. He is coming along nicely, but has the tendency to run through the corner, particularly when tracking left after going down the outside line. He is young, and I think is having trouble regaining his balance in the corners. Any suggestions or exercises to help balance him? 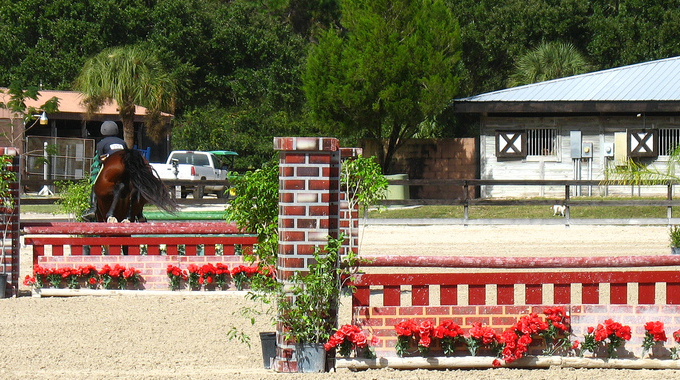 When schooling, try halting “Parker” after the second jump of a line every time he accelerates. 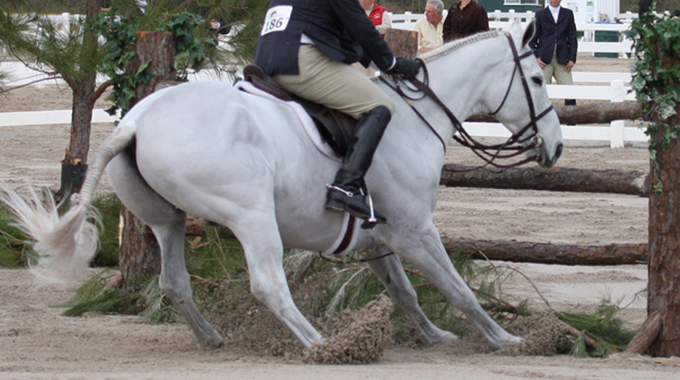 If he leans heavily on the bit, halt and back. Change the direction of the lines so it doesn’t become routine. When he’s lands and stays polite, then continue. Any tendency to increase his speed or get strong, then halt and perhaps back. 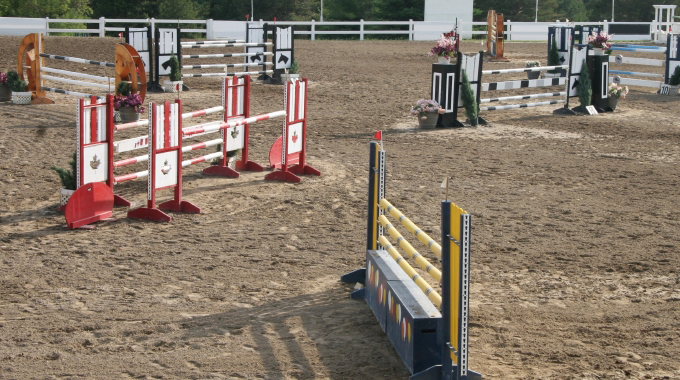 Make lines of poles or cavaletti, and then progress to small jumps. 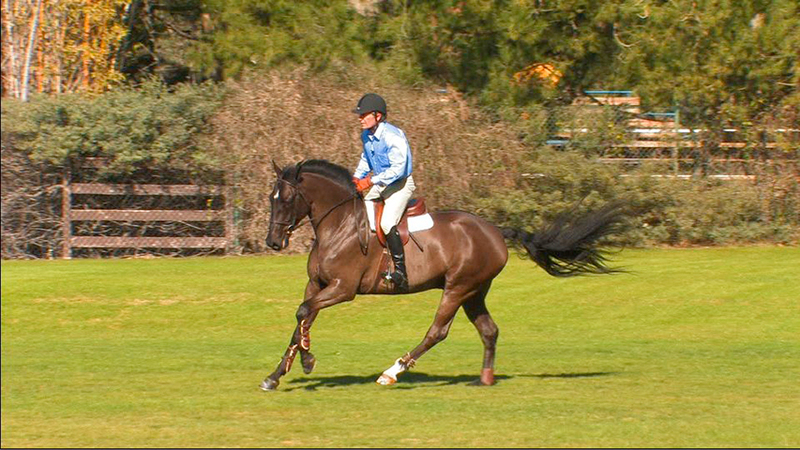 When schooling, I would use the mildest bit suitable for you and your horse. 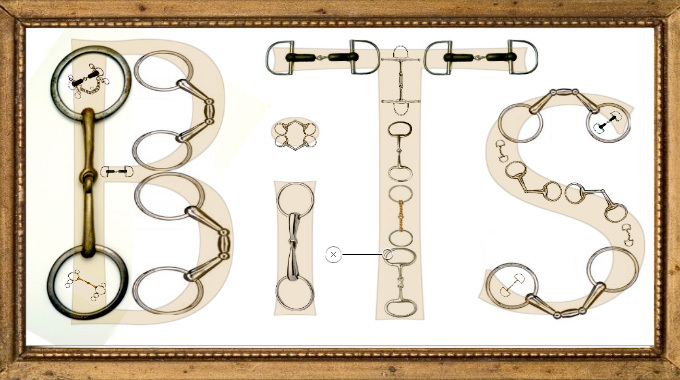 Use one of the classical snaffle bits. Nothing sharp. We school with increases and decreases of pressure, so the bit absolutely cannot be painful. 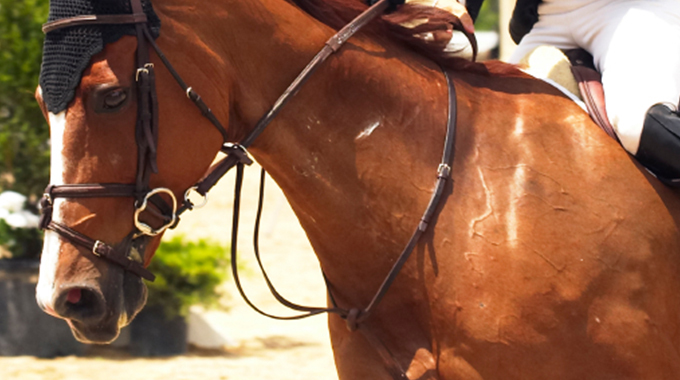 Stay away from corkscrews and smooth twisted snaffles with sharp edges or gadget bits.